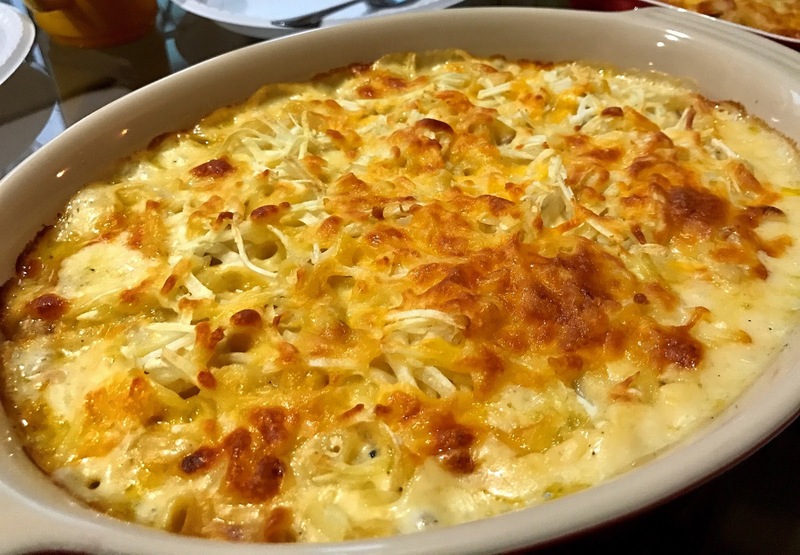 MAC and cheese fans! 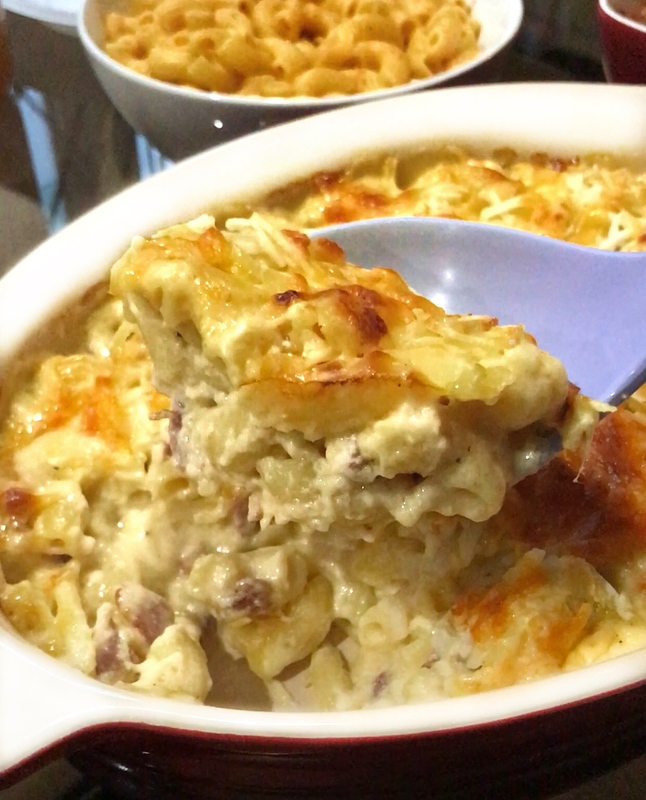 Here’s one Super easy to whip up MAC and cheese. All the ingredients are cooked over a skillet and then the whole skillet is baked in the oven until the cheese turns golden brown! It’s really that simple! It was one of the tasty food videos I saw being shared around Facebook that tempted me to try this. Plus I had a bunch of family members and friends requesting me to make this for them so here it is! 4) Lower heat and add cheese. Stir until cheese has melted. 6) Add in cooked macaroni and bacon. Stir to combine. TOP with frozen hash brown and spinkle more cheese on top. At this point, you can either bake the skillet or transfer the mac and cheese to an oven dish to bake ( I didn’t have a skillet big enough which explains the need to transfer). 7) Bake in oven for 20-25 min until cheese and hash brown has turned golden brown.